the place. 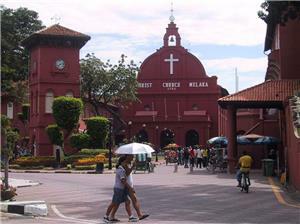 Malacca (Melaka), a top destination in Malaysia which is full of history, prevalent in every nook and corner. Once an unknown settlement of sea gypsies the land’s fate took a turn when a prince was forced out of Java and fleeing to Temasek (ancient kingdom of Singapore). He was forced out of his newly created kingdom and arrived in Malacca in the 1400s. The prince’s name was Parameswara and he proclaimed himself ruler of Malacca. Thus began the transformation of Malacca from a fishing village into a powerful kingdom. Malacca rose to become a prosperous and powerful centre of trade between the East and the West, and eventually became an empire. Here, gold, silk, tea, opium, tobacco, perfumes and countless other items from nearby countries and from as far away as Europe and South America changed hands. It was during this period of Malacca’s history that Islam was introduced to the Malay world, arriving along with Gujarati traders from western India.The fame of this celebrated city spread far and wide and attracted conquerors who coveted monopoly of the important spice trade. From 1511, the Portuguese, the Dutch and later the English, took control of the empire until Malaysia obtained her independence in 1957 and Malacca was handed over to its first local Governor. Each rule left its unique mark behind, and today this charming town is filled with relics too big to be housed by any museum alone. Every street, every monument of Malacca tells its own story of conquest and valour, avarice and victory. Malacca is located on the West Coast of Peninsular Malaysia facing the Straits of Malacca, about 147 kilometres from Kuala Lumpur between the states of Negeri Sembilan and Johor. It covers an area of 658 square kilometres and is divided into three regions – Alor Gajah, Central Malacca and Jasin. The main bus terminal in Malacca is Melaka Sentral Bus Terminal (It’s also the terminal for Taxi and Bus within the Town of Malacca). 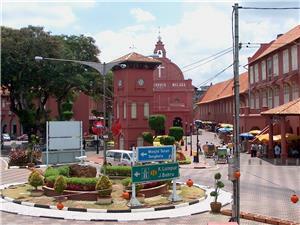 The most popular arrival routes in Melaka Sentral is bus from Singapore to Malacca and bus from KL to Malacca. Because of the popularity of Kuala Lumpur to Malacca bus, many bus operators are providing the service. So the frequent for Kuala Lumpur to Malacca bus is high. For more information about Bus to Malacca (Melaka), check out details from us today!